The past few weeks have been a wild ride for cryptocurrency. While the market has always been rather volatile, we’ve seen big movements for Bitcoin, Ethereum, Neo, Ripple, and Litecoin. Let’s take a look at how these major currencies are performing. As the biggest cryptocurrency around and by far the most recognizable, bitcoin has seen major growth in the past few years. From its beginnings as an interesting currency experiment to its current position as one of the fastest growing investment opportunities, bitcoin paved the way for the majority of the cryptocurrencies we have today. While it’s the biggest currency around and has seen incredible growth – reaching almost $20000 per coin near the end of 2017 – it has since seen a big crash, reaching close to $15000 – largely due to some disappointing news. While cryptocurrency is no doubt here to stay, there’s no use denying that the investments are incredibly volatile and risky when compared to traditional investments. While stocks are usually tied to the performance of their companies, currencies like bitcoin are driven by supply and demand. New news and even rumors can cause massive shifts in value, which has caused several governments to make moves to address the issues surrounding this cryptocurrency. A document leaked recently that seems to suggest China will soon be cracking down on bitcoin mining groups that have set up shop in the country due to the low cost of electricity. This is combined with the shutdown of several exchanges as well as a potential banning of initial coin offerings (ICOs). The moves targeted mainly bitcoin which has actually led to a surge in the prices of coins like Ethereum, Neo, Ripple, and Litecoin, and the largest cryptocurrency may soon have its dominance challenged – at least in terms of market cap. Ripple coins are valued far lower than a bitcoin, but considering the fact that there are billions in circulation, it might not be too long before Ripple catches up to the leader in the crypto scene. Other events that have had effect on the price of Bitcoin were a statement from the Israeli government pausing much of the currency’s activity in the country due to lack of regulation, as well as the crash caused by the removal of South Korean exchanges from the price calculations from the large cryptocurrency index, Coinmarketcap. Currently, we’re continuing to see a massive Bitcoin crash with a current valuation of around $13000 per coin – a far cry from the near $20000 valuation we saw just a few weeks ago. It just goes to show how volatile these currencies can be, and that perhaps these governments’ trepidation is warranted. As mentioned above, Ripple is quickly catching up to Bitcoin – the current king of cryptocurrency. With tens of billions of coins in circulation, a small climb – or drop – can cause a massive shift in the market cap of this growing investment opportunity. With many mainstream media outlets calling it the “new Bitcoin” or “Bitcoin killer”, there’s many people hoping that this currency will continue to grow and unseat Bitcoin as the cryptocurrency to watch. Unfortunately, the market hasn’t been too kind to Ripple in the past couple of weeks either, with a near 50% drop from the previous week’s value – currently trading at around $2 per coin. Still, it’s important to keep in mind that this currency could soon bounce back. With a growth last year of 36000 percent, it’s clear that there’s potential for Ripple to become the top dog. A drop of 50% is significant, but considering the fact that the majority of currencies are performing poorly, it may not be something to be too worried about. While Bitcoin and Ripple may be struggling, Ethereum value is continuing to climb. Yesterday, the currency reached an all-time high at above $1400, smashing through the $1000 barrier for the first time in its history. While Ripple has been heralded as a bitcoin killer, it has always been neck and neck with competitor Ethereum. It appears as if Ethereum has taken the lead today, with a roughly $40 billion lead over Ripple due to the massive drop the currency experienced today. It’s a toss up between Ethereum and Ripple when it comes to the title of “Bitcoin killer”, but with a current value of around $1230, Ripple is going to have an uphill battle if they’re to recover from the crash and see some continued growth. Dubbed the “Chinese Ethereum”, NEO has performed as exceptionally well over the past few days – just like its cousin. After the Chinese made steps towards making bitcoin less dominant – with some expecting an outright ban in the near future – the price of the country’s own cryptocurrency skyrocketed. In the past two days alone, the value grew around 25% in value, reaching a high of $125. This pricing is a huge increase when compared to the $30 just a few weeks ago, and is another example about how a piece of news can trash the value of one currency while causing another to skyrocket. With all of these currencies competing with each other and heading into uncharted territory, the success of one investment often means the downfall of another. With Bitcoin’s huge crash, NEO is revitalized and continuing to grow in value. From a high of around $360 near mid-December, Litecoin has also seen a serious crash. In early January it seemed to bounce back a bit, climbing up to $290 from its low of around $220 just a few days before. After this price spike, however, Litecoin has continually trended downward for the past few days, currently sitting at a price of a little under $245. Litecoin is behaving similarly to cryptocurrencies like Bitcoin and Ripple, with prices falling in the new years. December was an amazing month for crypto, with many currencies hitting an all time high. 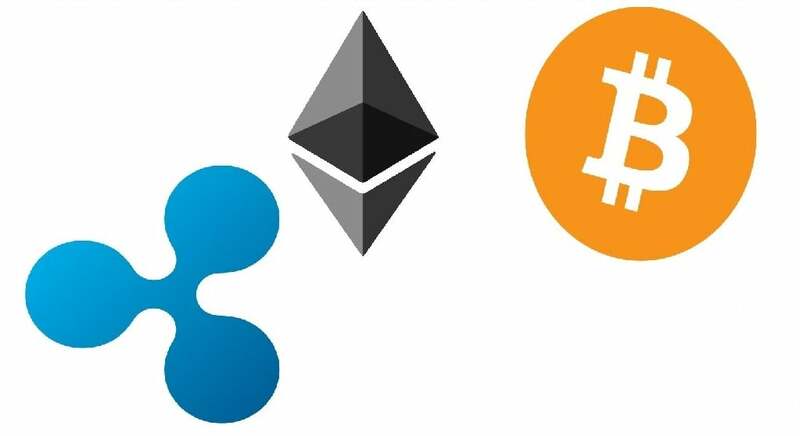 It remains to be seen whether Bitcoin, Ripple, Ethereum, NEO, and Litecoin see continued growth over 2018 or if things will stagnate or decline. All we can say for certain right now is that prices for Bitcoin, Ripple, and Litecoin are struggling, while Ethereum and NEO are seeing some great growth. With how volatile the market has been the past few weeks, there’s no telling where we’ll be even a few days down the line.